Your initial oral examination includes a visual examination, charting, periodontal probing, diagnosis and treatment recommendations. We will also take X-rays, which includes the panoramic X-ray for proper visualization of the jawbones and sinuses, anterior (front) and posterior (back) teeth as well as the bite-wing X-ray series for proper diagnosis of decay in-between teeth. 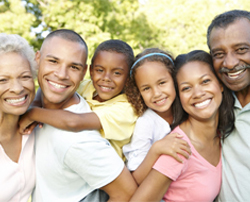 A modern, fully digitized experience to help you get the smile you want, the way you want. 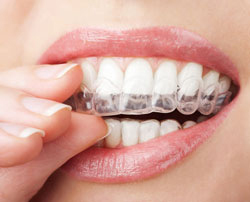 Invisalign® aligners are clear and custom made from thin acrylic for a better fit and precise, gentle movements. They move teeth more quickly than braces, and allow you to brush and floss, and enjoy the foods you want. 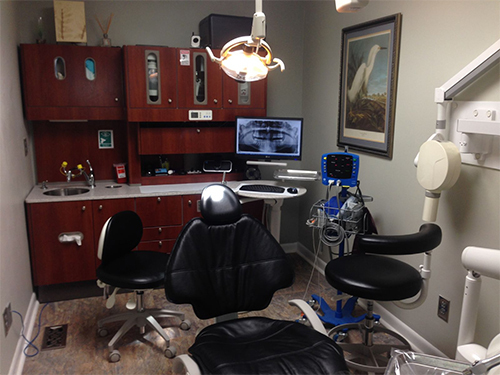 Conscious sedation dentistry may be right for you if you struggle with a dental phobia or dental anxiety. It's also helpful if you need a lot of work done, and would like to get it over with in as few visits as possible. Conscious sedation is a combination of medications (Benzodiazepines and Antihistamines) along with Nitrous Oxide (Laughing gas) which relax you, allowing you to get your dental work done with little to no memory of the procedure. Our medical protocols are tested and proven over many years, and are extremely safe and predictable. We will do a thorough workup including your medical history and a physical exam to make sure sedation is right for you. An alternative to crowns and veneers is a process called bonding, in which a tooth-colored filling material that looks like the enamel of your teeth is molded and shaped, and then cured and polished. Teeth can become crooked, chipped, cracked, and even overlap as a result of many factors, including traumatic injury, bruxism (grinding) or even heredity. Cosmetic contouring and reshaping procedures can remedy, and in many cases, greatly improve these conditions. Crowns or "caps", usually made of Zirconia, an incredibly strong material like porcelain, placed over the top of a tooth. Bridges are natural-looking dental appliances that can replace a section of missing teeth. Because they are custom-made, bridges are barely noticeable and can restore the natural contour of teeth as well as the proper bite relationship between the upper and lower teeth. With solid zirconia crowns, you can say goodbye to those unsightly dark gumlines from older porcelain-fused-to-metal crowns. There are alternative, natural-looking materials to conventional mercury/amalgam fillings - materials made from porcelain and composite resins, which are colored to match natural tooth enamel. They contain no mercury and are less liable to crack teeth through constant expansion and contraction. Implants are titanium cylinders that are placed in the area of the tooth previously occupied by the root. A crown is then placed on top of the implant. Implants are so well designed that they mimic the look and feel of natural teeth. Implants are as close as we can come to "re-growing" a permanent tooth. Implants can also support dentures and hybrid "All on Four" permanent restorations of all teeth. When restoration procedures such as root canal therapy, crowns, or fillings are not enough to save a tooth, it may need to be removed, or extracted. People who grind their teeth can sometimes develop a serious problem with their jaw, which left untreated, can adversely affect the teeth, posture, as well as causing chronic migraines.